I model primarily British Railways, 1960s vintage in P4 standards, using a DCC system for control. Some glimpses of my railway can be seen via the link below. From working in Zambia I have also an ongoing interest in 3'6" gauge stock from Africa, for this I have considered 1:87 (H0m) and/or P48scale and experimented with both. 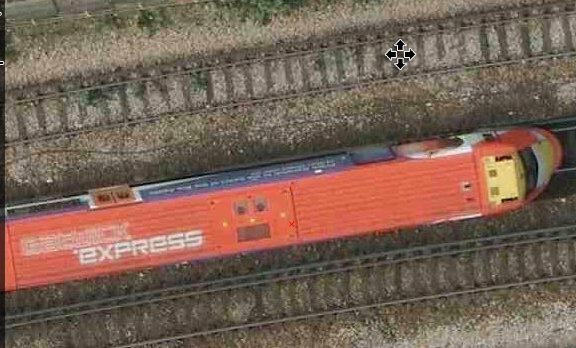 However recent arrival of a South African GE diesel sold as H0 but proved by measurement to be modelled accurately to 4mm scale has changed that! However I don't expect the U20C project to get beyond a test setup. The social dimension of my modelling comes from the Scalefour Society and from the Model Electronic Railway Group (MERG). Pictures of my layout, Grovenor sidings. Hornby Pullman Coach - May 2003 Some photos showing P4 conversion for these coaches. Coach Bogies - Updated October 1999. A page showing my trial installation of the new Masokits sprung bogie with pin-point bearings. Coach Bogies - October 2006 A quick hint on P4 conversion of Hornby Stanier bogies. BR Standard Brakevans - Building a PMK kit. 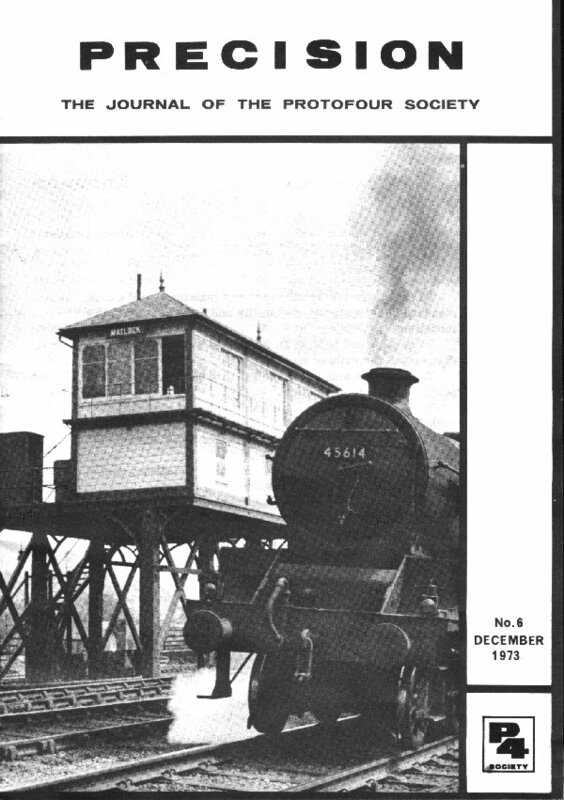 Point operation by Post Office relays - Another January 1999 topic, I thought this may be of some use even though the P4 Mk.1 TOU is no longer available since similar designs can be readily made up from curtain track and PC board. Track relaying - if you don't get it right first time! Plug in Signals - colour light. LMS Wagon Diagrams - July 2003 The index pages from Bob Essery's books. Freightliner Bogies - February 2003 Detail photos of a freightliner bogie, a bit rusty but never mind. Drophead Buckeye Couplers - April 2001 Some pictures and data on the couplers used by the LNER, SR and BR on main line corridor coaches. Wagon Couplings - September 2004 Drawings showing the standard dimensions of British hook and link couplings. Gatwick Express - March 2008 Keep on top of your liveries. Elevated Signal Cabins on the Midland. - This one is in response to a request for information in January 1999. As copies of Precision are not easily found I thought this photo may be useful. Signalling information - modernisation numbering plans. Signalling information - LMS Block controls. Signalling information - IRSE booklets. Permanent Way design notes - from the GWR Chief Civil Engineer's Dept. Rail built buffer stops - August 2008 Scan of an article by Malcolm Cross, from MRC 1968 or thereabouts. German style double slips etc. Mixed Gauge Track - pictures from South Australia. Real track details - from S4 Society members. Servo point drive demo close up, uses Exactoscale tortoise mount. Layout pics running through B6 crossover, close coupled. Please tell me what you think about my webpages and how I might improve them.